Trade blocs like BRICS, ASIAN, G8 etc are making their relations stronger. These trade blocs are reducing the importance of WTO. There are approx 40 trade blocs. Now, we are in the ‘Deglobalization’ era as nationalism is taking over globalism. Every country is now trying to become self-sufficient and is trying to increase exports and to decrease imports. Almost all major players of WTO are imposing taxes on imports and trying to protect domestic manufacturers. This is against WTO rule of treating domestic and foreign players on an equal par. US’s present president Donald Trump is openly criticizing WTO and is threatening to withdrew US from free trade. US-China trade war is undermining the World Trade Organization. Imposing restrictions on one particular country is against it’s policies. One of the WTO’s responsibilities is to foster inclusive growth. As per its rules, least developed countries should be given preferential treatment in trade. But it is always accused of following Pro-Rich policies. Many developing and underdeveloped countries are not happy with WTO. Increasing number of bilateral, trilateral, multilateral trade agreements are overriding the importance of WTO. 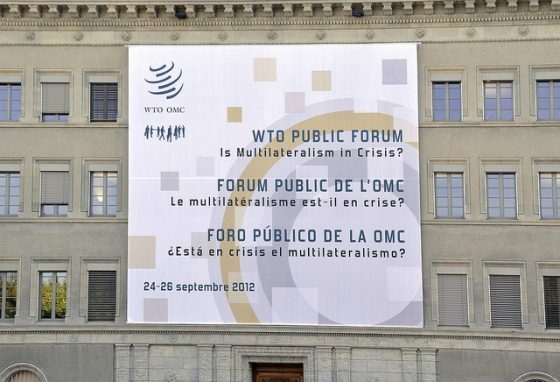 It’s been more than two decades since WTO is formed, but it couldn’t deliver any significant multilateral trade liberalization. WTO was formed in 1995, replacing the General Agreement on Tariffs and Trade (GATT). It has 164 countries as members. WTO was established with an aim to promote free trade among member countries and to solve trade disputes peacefully and rationally. WTO is a good platform to solve trade disputes peacefully and rationally. It’s existence prevented trade wars till now and made international trade smoother. It’ rules cover most of the international trade. It’ll be beneficial if all member countries discuss the issues and come to a consensus to make WTO more effective than totally sidelining it. What is your opinion in this topic? Express your thoughts in the comment section below. And subscribe to our bog to read answers to trending GD topics. Team GD Ideas, thanks for the article post.Really thank you! Great.